Even though it looks clean on the surface, one of the most polluted places in Maine is the former Callahan Mine Corp. site in Brooksville. 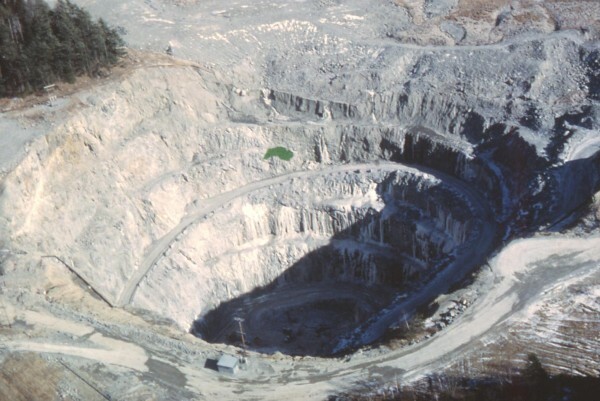 In this file photo made in the 1970s and provided by the Maine Geological Survey, the Callahan Mining Corp. open pit in Brooksville, Maine, is seen while it was still active. 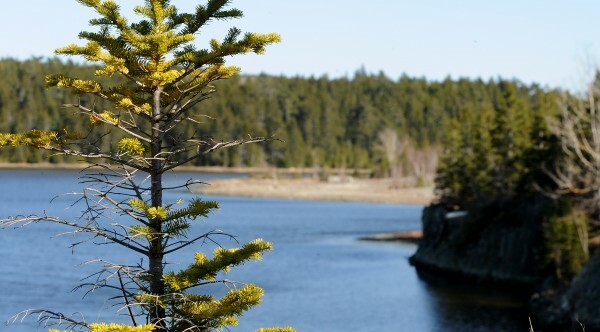 BROOKSVILLE, Maine — The first phase of cleanup at the defunct, toxic Callahan Mine site is nearly complete, an environmental official told concerned residents here Wednesday. The cleanup of polychlorinated biphenyls, or PCBs, at the former mine operations site has taken longer than expected, said U.S. Environmental Protection Agency Project Manager Ed Hathaway. Cleanup of the PCBs and lead- and arsenic-contaminated soils began last year, but since this summer, EPA and state Department of Environmental Protection cleanup crews have filled 302 truckloads with PCB-laden material. Residents have wondered about truck traffic and the future of the site since the mine was green-lighted for the federal Superfund program in 2002. Now, they have an even heftier conundrum: The former mine’s owner, Smith Cover Preservation Trust, wants to give the site to the town as a gift. The town is still weighing its options, Selectman Richard Bakeman said after Wednesday’s meeting, which was hosted by U.S. Environmental Protection Agency and Maine Department of Environmental Protection, at the Brooksville Public Service Building. “The Trust, the EPA and the state have tried to interest us in taking it,” he said after Wednesday’s meeting. “But before we ever accept it, we need to find out whether there’s an interest” among Brooksville residents. Bakeman was concerned that if the town took over the property, it would be liable for any future cleanup related to the former mining operation, but Hathaway said that regardless of who owns the site, the state will be responsible for ensuring its mining past doesn’t pose a danger. One resident, Jody Spear, asked Hathaway several questions about whether the site would ever be truly clean enough for marine recreation. The mine area encompasses Dyer Cove and Goose Pond, and abuts the Sedgwick River. Hathaway said that when cleanup is over, the site will be fit for recreational use. “There will likely be a continued restriction on groundwater wells and clam fishing, but not on surface water use like swimming and boating,” he said. Spear wasn’t convinced, and Hathaway said he was more than happy to bring health scientists to Brooksville to speak with concerned residents. The EPA received an additional $2.25 million this year (the cleanup last year cost $3 million) to fund the unanticipated second wave of PCBs. Hathaway said cleanup crews will leave by the end of next week, but there will still be small amounts of PCBs to remove next spring. Still, even when all the PCBs are gone, it will be a while before the entire mine site will be cleaned up. After phase one, state and federal government officials are expected to take about two years to design and fund the rest of the cleanup. Tons of waste rock material will be stored in the former mine pit, and the “tailings impoundment” — where leftover material from the ore separation process was dumped — will be capped with a geosynthetic cover to prevent contaminants from leaving. More than 800,000 tons of rock bearing zinc and copper ore were mined at the Callahan Mine between 1968 and 1972. The complete cleanup effort is expected to cost about $23 million.